Well, actually.... I've gotten it quite sometime back but I just kept procrastinating to blog about it! Anyway, I need to thank Xinhui for helping me to get it in Aussie which then she asked her friend to bring it back to Singapore for me!!!! So thank you to her friend as well (I know the box is pretty big) lol! You know I wanted this perfume for so super long already but what is stopping me at the start was.... it doesn't freaking sell it here in Singapore! And neither in any country in Asia too! Why like that! -_- So I was trying to go online to buy it and then ship it over BUT apparently, perfume cannot be shipped to Singapore. So no choice lah, I then thought to myself.... nevermind no fate to own it lah. Then I thought of Xinhui who is studying over at Aussie now, so I texted her about it and asked her to help me see if it's selling there and if so, help me buy lah! So end up here it is!!!!!!!! She even helped me to buy the limited edition one recently, which she just passed it to me (will blog about that too)! The perfume box and the perfume bottle (100 ml)! 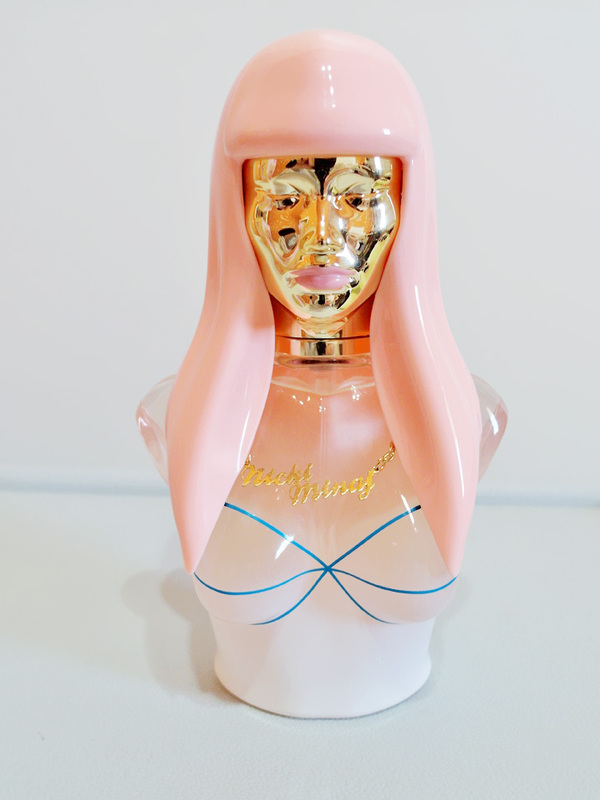 Close up of the perfume bottle! 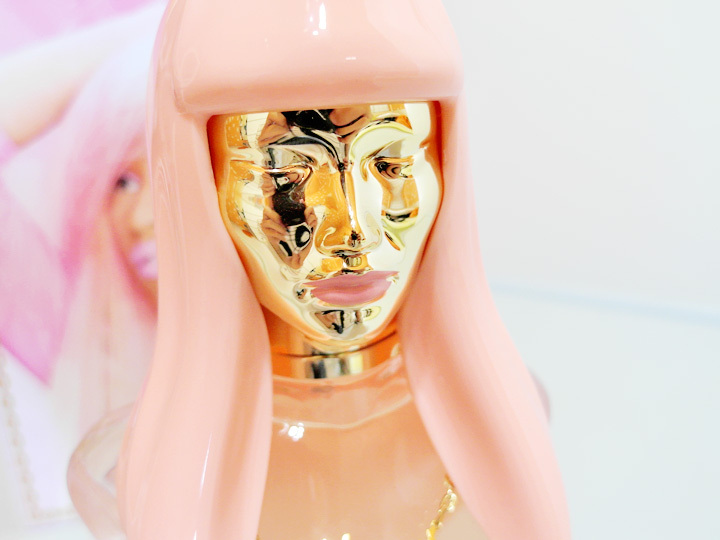 The face is in gold and with pink lipstick! So detailed! Taking out the cap which is also, literally, the whole head of Nicki Minaj lol! The "name" necklace on the bottle! Cool or what! I know many people must be thinking, wtf this perfume is for ladies and not for you. Firstly, I wanted to buy it not because I wanna use it but because I just wanna buy it cause I liked it. 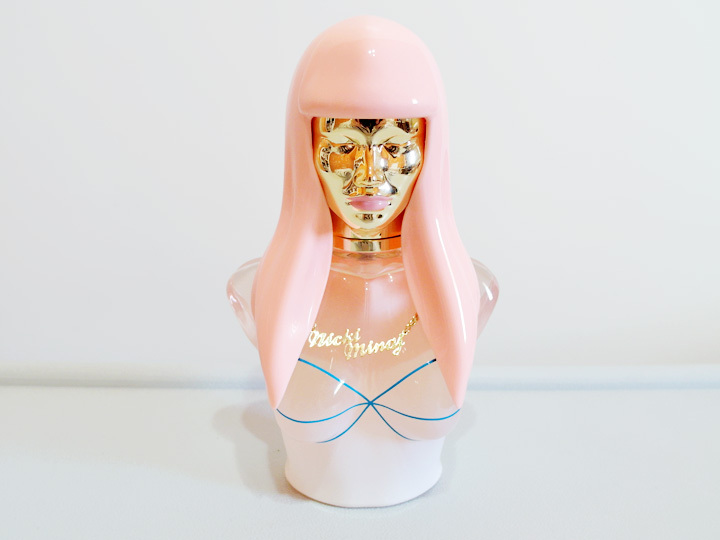 Secondly, this perfume is categorised under "Unisex Fragrance". And unexpectedly, the scent of this fragrance is pretty nice!!! I brought it out for my friends to smell and most of them told me that it's nice and even asked me to buy it for them lol! Siao! I think Xinhui will scold me if I ask her to buy for my friends also cause it's very troublesome and very difficult to bring over since the box is so huge! Maybe because I bought the largest 100 ml one, so that's why the box is so huge! It also comes in 50 ml and 30 ml too! Alright! Will blog about the limited edition one soon! You make me want to have it too, love the pink hair!! You should try the FAME by Lady Gaga. It is very good. I wanna buy one too. No one sell in singapore ?